Revolver Electronic Cigarettes offers products to suit the needs of all vapers; from the beginner to the hobbyist, all the way to the vaping veteran. Revolver Electronic Cigarettes offers products to suit the needs of all vapers; from the beginner to the hobbyist, all the way to the vaping veteran. With their wide variety and selection available, Revolver Electronic Cigarettes is sure to meet all of your vaping needs. Their quality products are backed by expert and extensive research. Revolver offers four starter kits you can choose from. Each kit varies based on your personal preferences and experience level. For this portion, I am going to briefly discuss each of the four starter kits, but the remainder of my review will focus solely on their Talon Tank System. The Revolver G2 Portable eCig is Revolver’s “cig-a-like” battery model. This portable eCig is identical in shape and size to a regular tobacco cigarette, which is really helpful for ex-smokers when they first quit. The starter kit for the Revolver G2 is affordable and a great product to get you started. 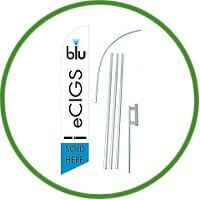 As a bonus, the kit isn’t standard with pre-selected flavours or nicotine levels; you get to choose. The G2 comes in a variety of colours you can select from. Each of the G2 starter kits comes with 2 batteries, 1 USB adapter, 1 USB cord, 5 cartomizers, and a charging case. The charging case is portable and allows you to charge your eCig when you’re away from home. This is accessory, known as the Portable Charging case, will typically be sold separately and come at an additional cost with other brands. This gives the Revolver G2 an edge over competitors, whose starter kits will cost about the same, but don’t include the charging case that travels with you. Revolver is the “big brother” to the cig-a-like batteries. The Revolver Talon Tank is more powerful, its battery holds a charge longer, and creates more vapour than the smaller cig-a-like models. The flavours available for the Talon are more extensive than what is offered for the G2 cartomizers. The Revolver Talon is an upgrade that is completely worth spending the extra money on. Once you’ve tried the Revolver Talon Tank System, your definition of vaping will change. When you’ve seen for yourself the extended battery life and improved vapour production of the Talon, nothing else will compare. When you order your starter kit for the Talon Tank System, you will be able to choose your nicotine strength, which flavours you want to try out for your cartomizers, and the colour of your battery. The Tank System starter kit comes with 2 USB pass through batteries; one 650 mAh and one 1000 mAh. It also includes 5 cartridges, 2 tank atomizers, a USB charger and cable, an AC adapter, 2 covers and 2 silicone caps for your cartridges, one lanyard, and 10 mL of eJuice. Just as with the G2, you have the freedom of choosing the flavours and nicotine strength for your cartomizers. Revolver’s website has such a wide variety of products for vapers. The vast variety of their products caters to all experience levels. Even beginners will feel comfortable shopping on Revolver’s website, where most brands can be overwhelming and confusing to the new comers. Revolver’s products include four different starter kits, more than a dozen flavours of quality eLiquid, and a wide selection of tanks. Be sure to visit Revolver’s website yourself to have a gander at all of their products. Most of Revolver’s products are more affordable than other brands, or at least comparable. Their advanced kits may seem steep in price, but the product quality and the amount of accessories included make the kits a definite value. Revolver’s starter kits arrive in a sleek box that magnetically seals and is atheistically pleasing. Their eCigs are also sleek and nice looking. The staff at Revolver is friendly, helpful, and knowledgeable about the products they offer. They even offer warranties on several of their products. After you’ve made the switch from a cig-a-like model to a tank model like the Talon, you will immediately notice the increase in vapour production. The vapour puffs out in large, fluffy clouds and satisfies the ex-smoker’s craving for lots of “smoke” as they vape. The Revolver Talon’s large battery lasts much longer than the G2 and produces bigger vapour clouds. The starter kit for the Talon includes two batteries. The first is a 1000 mAh battery and the second is a 650 mAh. The 1000 mAh has a longer battery life, obviously. The 650 mAh lasted an entire day of vaping, however, and is worthy on its own. Either one of these batteries is sufficient to take with you on the go with no worries of being left with a dead battery in need of charging. I recommend vaping with the 1000 mAh battery as your primary. It produces more vapour and holds a charge for a longer amount of time than the 650 mAh. One of the best features of both of these batteries is the USB pass through. If you loosen the end by unscrewing it, you will see a slot for the cable. By using this feature, you can plug one end of the USB pass through cord into your battery and the other side will plug right into your computer; allowing you to vape without using your battery life. The Revolver Talon is perfect for anyone who works from home or uses their computer a lot. You can vape at home without ever draining the battery life, saving that for when you’re on the go. The system for the Talon Tank requires eLiquid, and you can find a wide variety of flavors for sell on the Revolver website. All of their flavors are branded “Premium USA eLiquid”, so you know you’re getting top of the line, quality eLiquid. I have sampled two of Revolver’s flavours: Iceberg Apple and Frigid Peach. Both of these flavours are light and delicious. If you’re a fan of fruity flavours, you will especially love the Frigid Peach. The Iceberg Apple has a nice after bite to it similar to sour apple candy. Both the Iceberg Apple and Frigid Peach are distinctly fruity and tart, but not too overpowering. From the newbie to the experienced vaper, everyone can find an eCig system to suit them on Revolver’s website.